If your Samsung galaxy phone like Samsung galaxy j7/ J7 Prime, Samsung Galaxy On8 SM-J710FN, J5 Prime etc devices are locked after factory reset and now you forget Google account credentials then here is a latest Samsung frp bypass trick 2018 to remove Samsung frp lock from almost all Samsung Smartphones including nougat 7.0 version. As we all know if the adb mode or usb debugging is enabled on the device then we can easily bypass Samsung frp using Miracle box 2.27a/2.54, Z3x box and Samsung FRP Hijacker tool etc. So now the question is that how to Enable ADB Mode In FRP Locked Samsung Phone? For this, if you have combination files of your device then it’s really very easy to enable usb debugging in frp locked Samsung devices by flashing combination file. But fact is that frp combination files are not available for all Samsung Smartphones. Same as if you try to unsupported combination file, it may brick your device permanently. So now here in this post we will help you to enable USB debugging in locked Samsung phone to remove factory reset protection. Best part of this method is that it’s 100% working and tested by our-self and no any possibility to brick the device. Follow the procedure as it is and open Samsung android adb interface or Samsung adb mode in FRP locked phone easily. This adb enable trick is successfully tested on Samsung Galaxy On8, Samsung Galaxy J7 Prime, Samsung Galaxy On Next, Sm-j710Fn and Samsung J610F/DS etc. 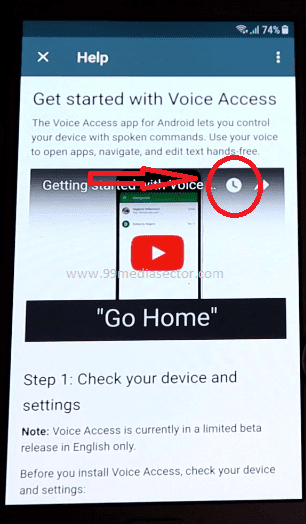 Last time shared a video on “how to bypass Frp lock on Samsung Galaxy phone without pc?” But now after updating the nougat android version, there is no Google assistance option. Because of it now you can’t enter into setting in frp locked Samsung phone via Google assistance. So this time you have enable Talk back option on your frp locked phone. After then you can open DRParser Mode by special code [(+30012012732+]. This code will help you to enable DM+ACM+ADB[USB debugging] on frp locked Samsung phone. Once you are able to open USB debugging in locked device, Run Miracle box, Samsung FRP hijacker tool, adb frp loot or any other adb supported tool to remove frp into adb mode. Now let’s start the process to enable adb mode in frp locked Samsung without pc. No need to use pc or laptop to enable adb interface or adb mode for FRP locked Samsung mobile. 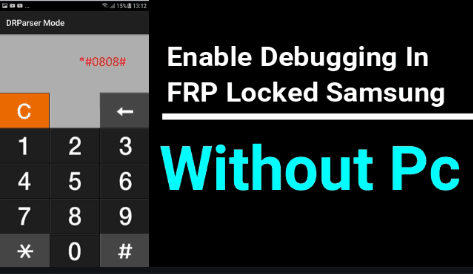 For more help, you can watch video to learn how to enable USB debugging in FRP locked Samsung phone? Come back to main home screen and enable “Talk back” on the device. 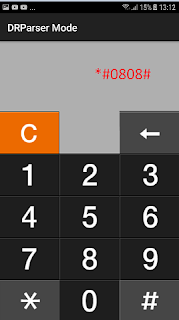 Now “Draw L Shape” on device screen. It will show you different options, select “TalkBack Setting” option. 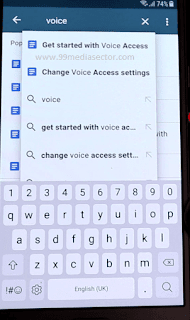 Press Volume up + Volume down key together to disable “Talk back” on the device. Scroll down “TalkBack setting” section and select “Help & feedback” option again. 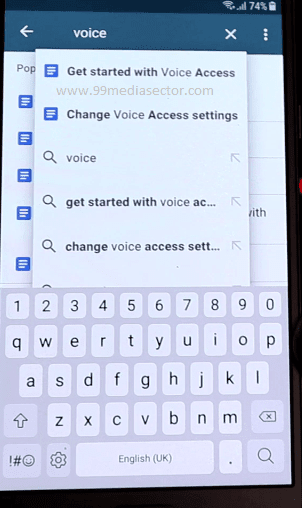 In the help section, type “VOICE” in search box >>get started with voice access. Here you will see a youtube video, play it and click on search option. 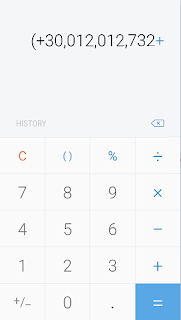 Select the first link to open and download “Samsung FRP bypass apk” from the list. Install the “Easy FRp Bypass” apk and open it. Enter into “app” >> “Google” >> Storage>> Clear Catch >> Manage storage >>Clear all data>> Go back again. Notification >> click on “I” button >> enable “Feed” option. 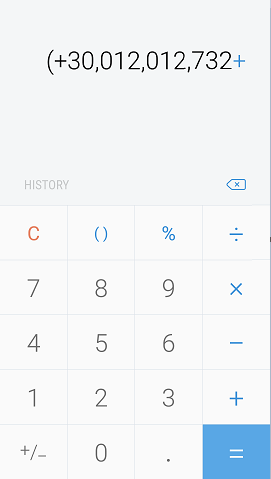 Again search for “calculator” app and open calculator. Now type *#0808#,it will open USB Setting on the device. 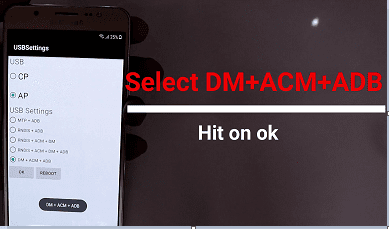 Select DM+ACM+ADBoption and hit on ok.
Again type the *#0808#, and select DM +ACM +ADB and hit on reboot options.